Now on display: Photos taken at Abbi Falls, 7kms from Madikeri, Kodagu District, Karnataka. Located inside a private coffee plantation, Abbi falls is small in height (21.3Meters) but is wider. A hanging bridge that spans across the river let you view the falls from multiple angles. 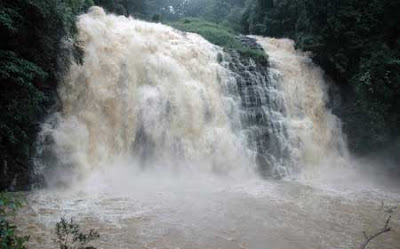 The water you see at Abbi Falls is the excess water released from a reservoir that supplies water to Madikeri town. The water flow eventually joins Kaveri river few kms downstream. Note: The road to Abbi Falls is very narrow. Heavy vehicles like buses will have to stop some 2 kms from the falls and passengers will have to walk. Cars and mini buses are allowed further close. Beautiful coffee plantation, sky high trees and pleasant weather makes Abbi falls an excellent picnik spot. Hey very crisp and good presentation. 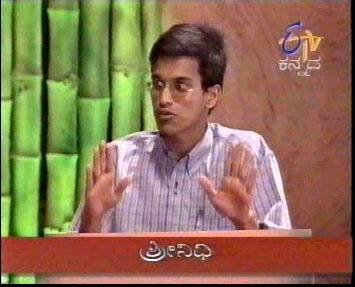 I have lots to learn on presentation in my blog I guess and trust your's is apt. Not the least tiring and to the point. Thanks Dhruv for the appreciation. Deal Closed- Bajaj Pulsar Sold. 'ತೀರ್ಥ' Holy Water in Whiskey Bottle!